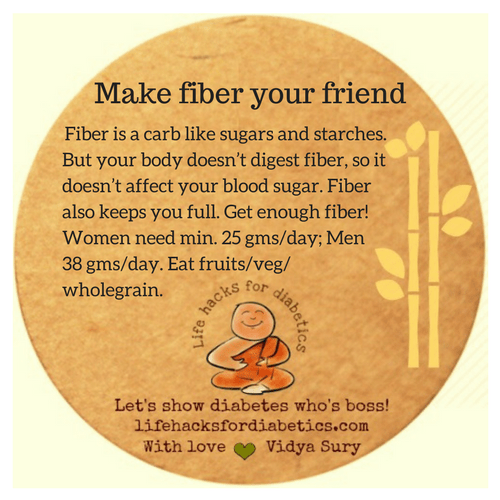 Fiber is a carbo like sugars and starches. But your body doesn’t digest fiber, so doesn’t affect your blood sugar. Fiber also keeps you full. Get enough fiber! Women need min. 25 gms/day; Men 38 gms/day. Eat fruits/veg/wholegrain.